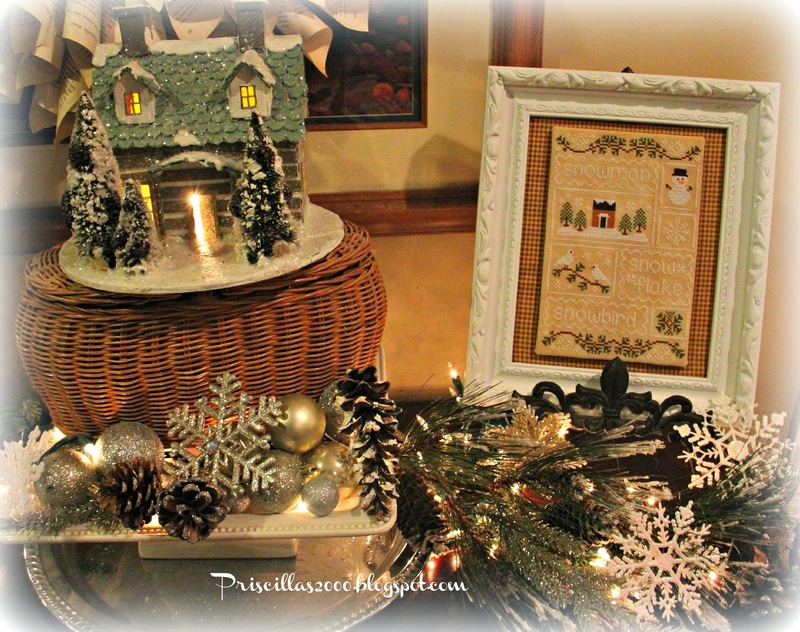 This winter vignette is in our family room on a long sofa table.. 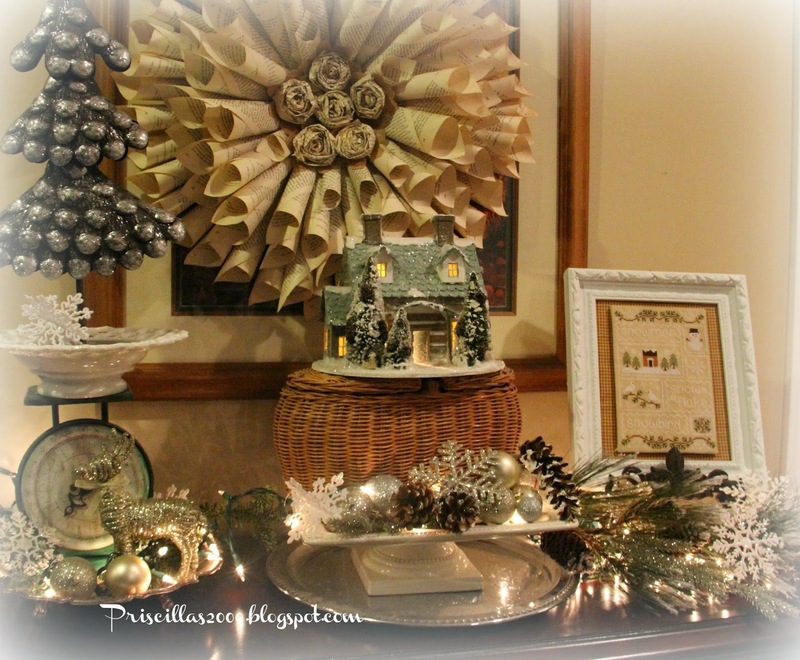 The silver tree I found at Ross on clearance for $3.00 ..A vintage scale , silver trays , pedestal plate and basket are all thrift store..rummage sale finds. Love the little snowy lit cabin .. 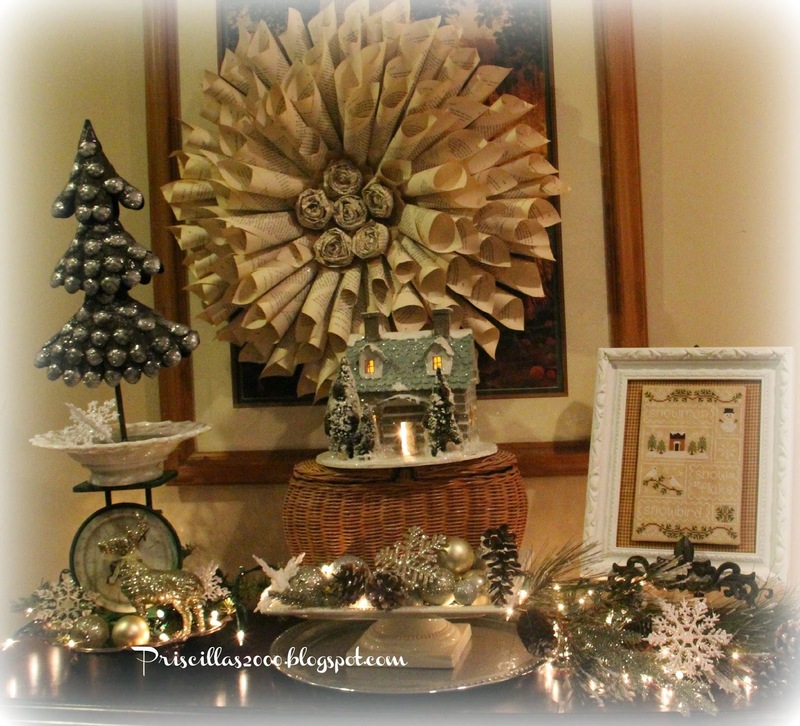 The book page wreath is hanging over the everyday print to make it more festive .. This was a really quick design to stitch up ..
Love this. You are such a good decorator and inspiration. Love the earth tone colors. 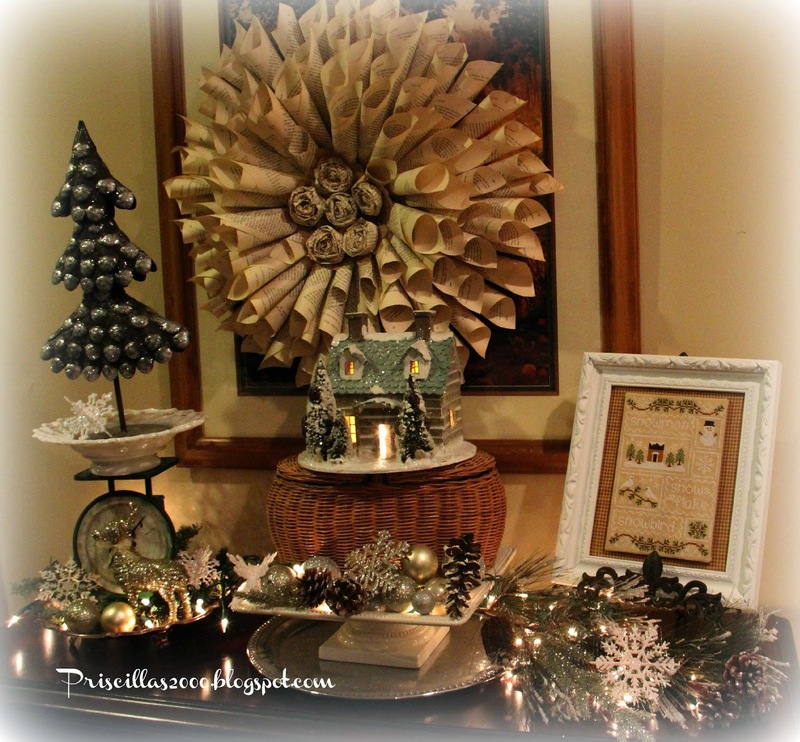 I especially love the paper cone wreath. 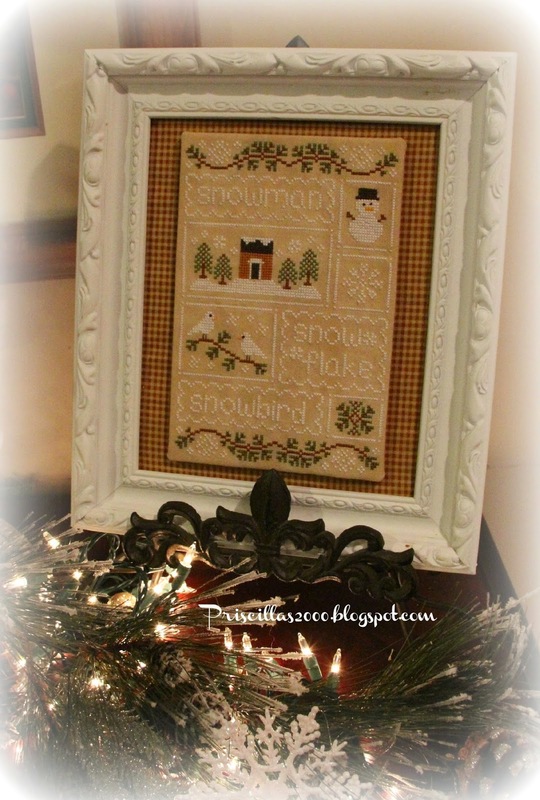 I have this project in my stitching stash. I really like that frame. What a great deal on that silver tree from Ross! I love getting Christmas things for fraction of the cost. 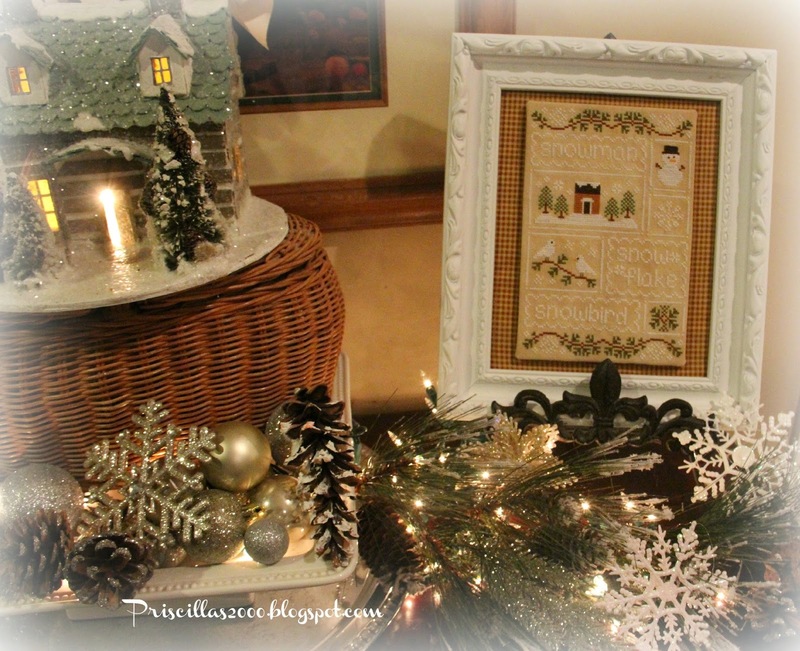 This little vignette is lovely - like a visit to the Christmas season but without all the hype and stress! Such a lovely vignette. The snow sampler looks great. I'm going to have to get that chart. Great visit, as always! Must look for frames to repurpose! Thanks for the inspiration! The whole display and so pretty. And your stitching project is making me want to try my hand at cross stitching again - haven't done it in years and years.